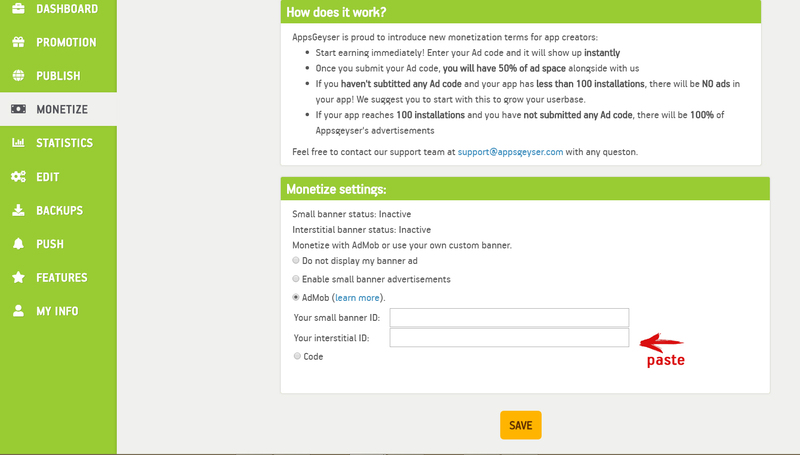 A lot of AppsGeyser users are really excited about the possibility of adding AdMob ads. Some of you have asked us exactly how it works, so we decided to tell everyone all at once. Here are the steps you’ll need to take. 1. Open AdMob website and click Sign up. 2. 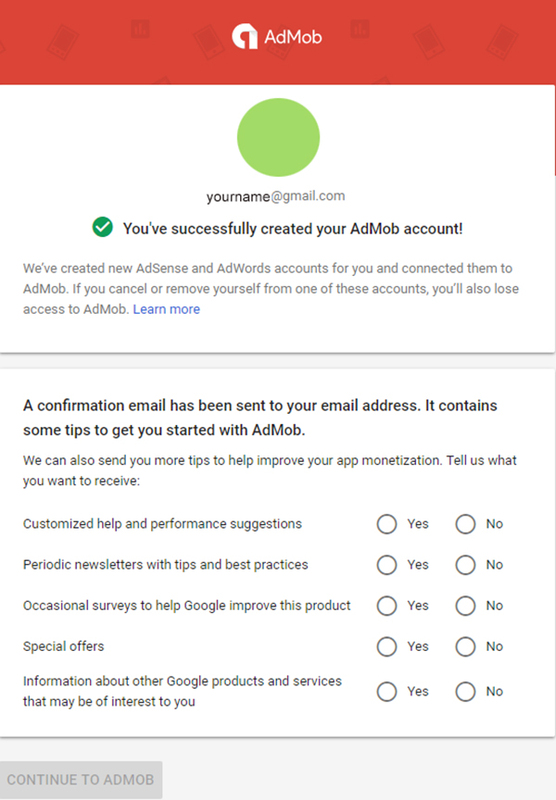 If you have Google Account, log in and provide details for AdMob registration. Fill in required fields and complete registration by clicking on Get Started. If you don’t have a Google account, create it by providing details. 3. A confirmation email has been sent to your email address. It contains some tips to get you started with AdMob. 4. Set up notifications. 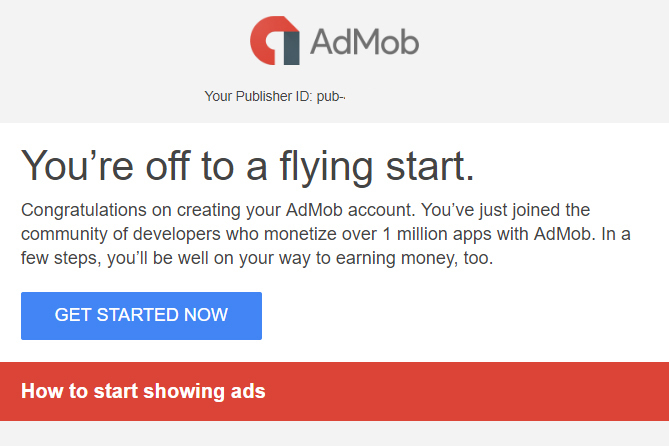 AdMob will send you more tips to help improve your app monetization. So tell them what you want to receive. 7. Remember: you can add only an app, that you have already published on Google Play. If you have still not done that, it’s such a time to do it. 8.  On the next screen, enter your App Package name, it’s the easiest way to find your app on Google Play Store. 10. 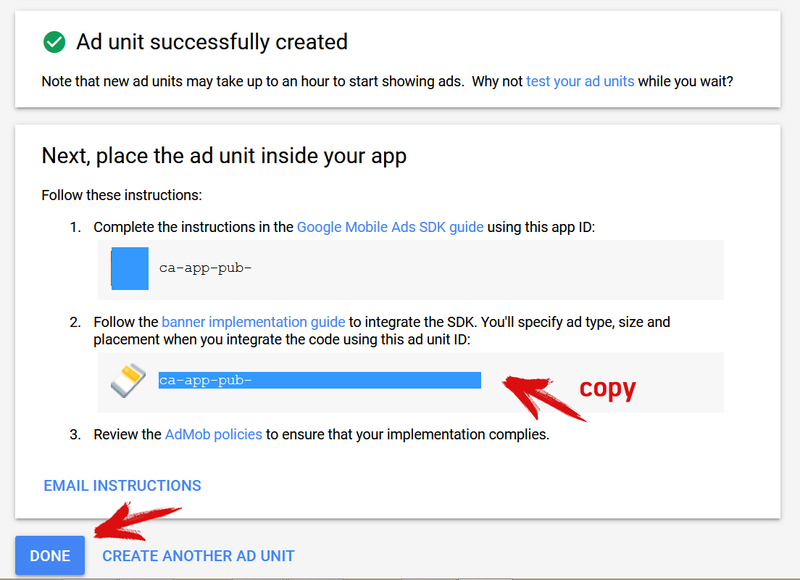 Make a decision what kind of ad unit you prefer for your app. There are two ways: Banner ad and Interstitial ad. You can (and we recommend) choose both. What do you need to do for the new ad unit? 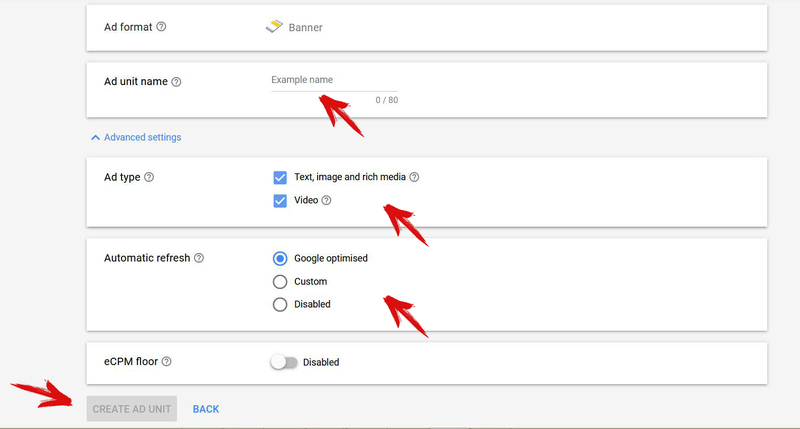 Ad type: Choose the ad type allowed to be shown in this ad unit. You must choose at least one ad type for each ad unit. We recommend ticking all of the boxes to try to maximize your earnings from this add unit. Automatic refresh: Decide how often a new ad impression is generated. You can choose not to refresh or to refresh ads every 30 to 120 seconds. Our recommendation is to keep this option disabled: the reason is that we have already tuned the intervals as optimal. Click CREATE AD UNIT. You’ll see the ad unit ID for this ad unit. 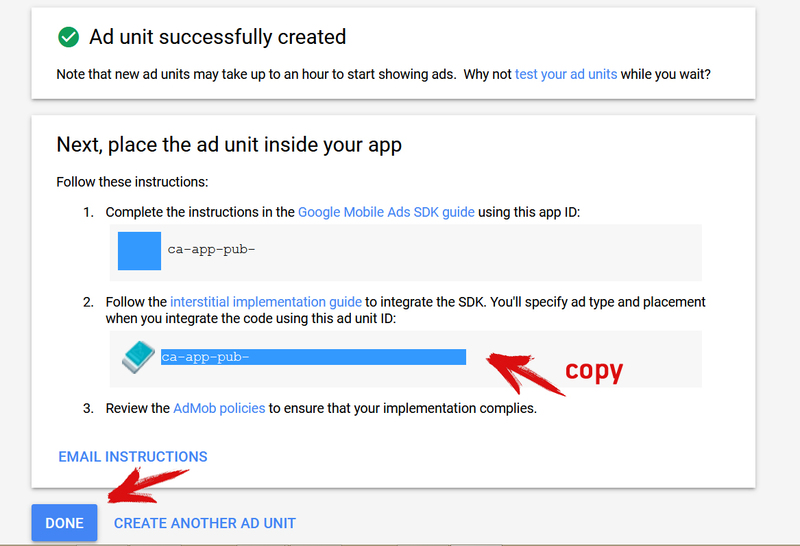 Copy (ctrl-C) the Ad unit ID and click DONE. 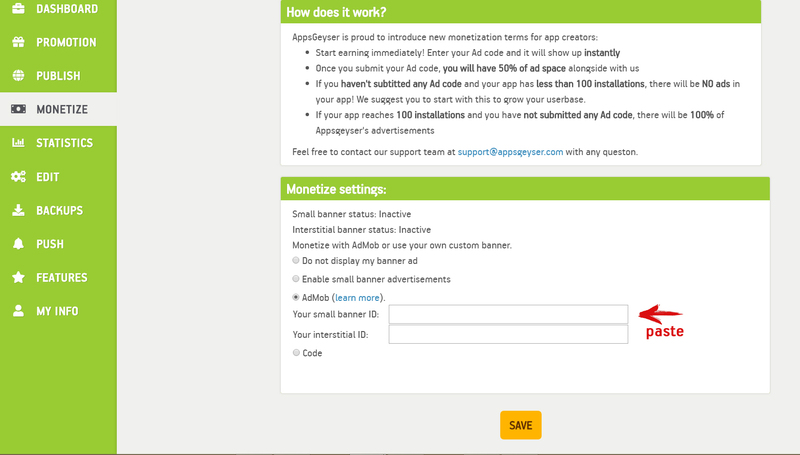 Paste (ctrl-V) the Ad unit ID into the AppsGeyser Monetize tab. Don’t forget to click SAVE! Ad type: Choose the ad type allowed to be shown in this ad unit. You must choose at least one ad type for each ad unit. And once again: we recommend ticking all of the boxes to try to maximize your earnings from this add unit. Frequency capping: Choose whether or not to set a cap on the number of impressions that you want to allow to show to each user. Limits the number of times that ads are shown to the same user per minute, per hour or per day for a given ad unit. Do you remember to click SAVE?